I’m finally starting to recover from a slight cold I’ve had over the past few days! 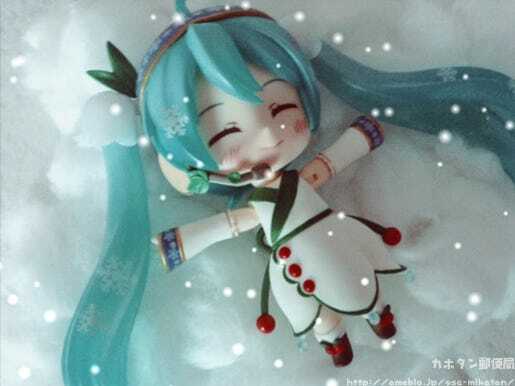 I hope everyone is taking care as it gets colder!! I couldn’t think of anything to photograph for the winter theme, but just then my local shopping center brought in the Christmas lights! I decided to take Akitsushima-chan to go see them and take photos! Rensouhou-kun also came along! 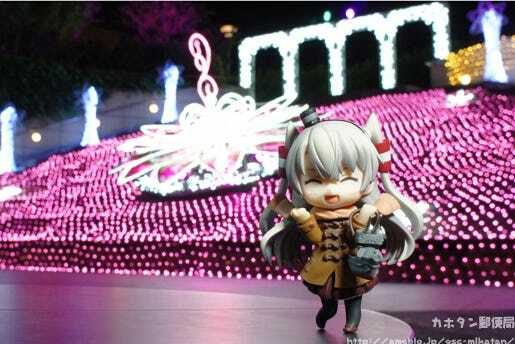 Akitsushima’s cute expression and excited pose really show how much she is enjoying the pink lights!! 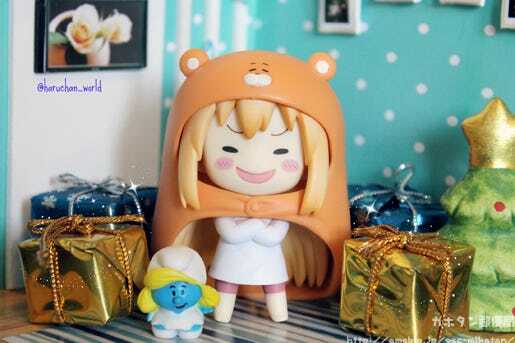 The coat and scarf from Nendoroid Yuki Nagato: Disappearance ver. look nice and warm, perfect for the Winter! Yesterday I went to Tokyo Midtown with some friends! The Starlight Garden was beautiful! 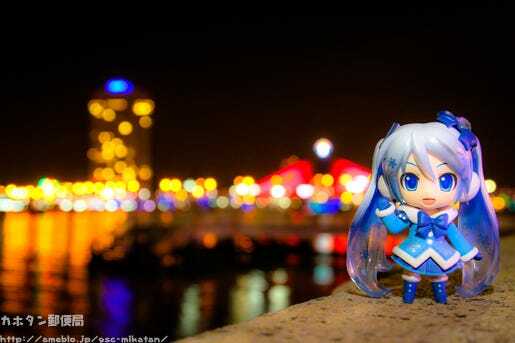 I took this photo of Miku-san there with a lovely background that makes her look like she is in the middle of casting a spell with a cheerful smile on her face! 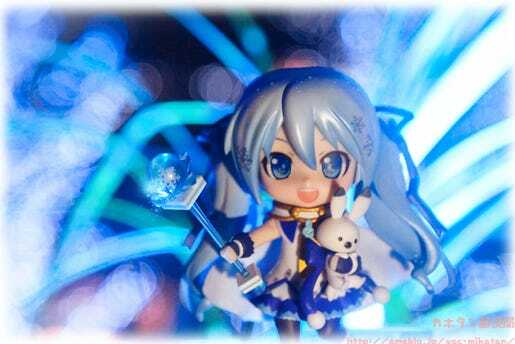 Magical Girl Snow Miku and a lovely lit-up Winter background that matches her so nicely! I feel like going out to see some Christmas lights this weekend now! 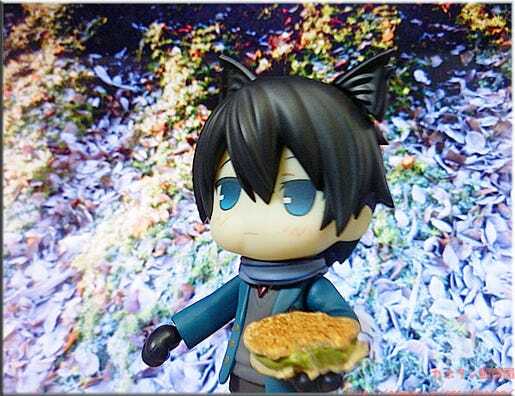 Warming up with a hot taiyaki in the Winter! 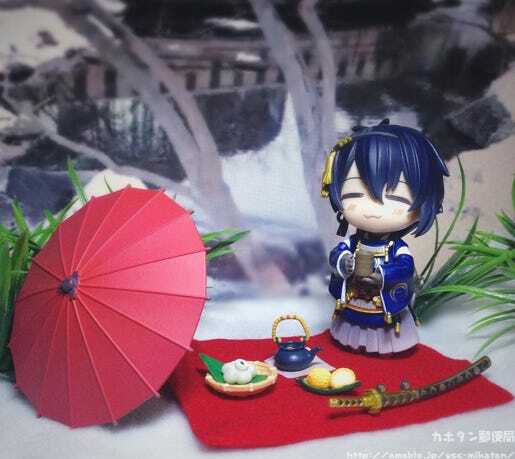 Although there’s no winter in my country, but I make an outdoor tea party for Mikazuki-san! The lights reflecting off the water have a really mystical feeling to them!! ♥︎ The Christmas light season has really started in all sorts of places now, I need to go out and see some for myself some time as well!! For me Winter always means it is time for a big clean-up of the house! 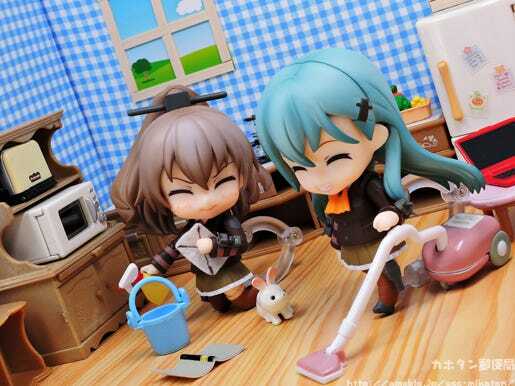 So I decided to pose Suzuya and Kumano doing some Winter cleaning! You can just imagine Kumano saying something like “Me? Clean? No way!” but I’m sure she’ll help out in the end! This is a photo I took back in July when she arrived, right in my own home. 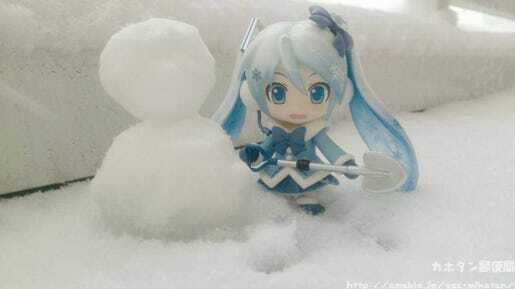 I took this photo because I’ve always imagined Snow Miku in a pose like this. Even at my current age I still love reading the toy catalogues that come around at this time of year! So many lovely photos that bring out the charms of the Winter season!! Thanks again to everyone who sent in photos!! I will be announcing the photo I chose to use as my header on the next Kahotan Post Office!! 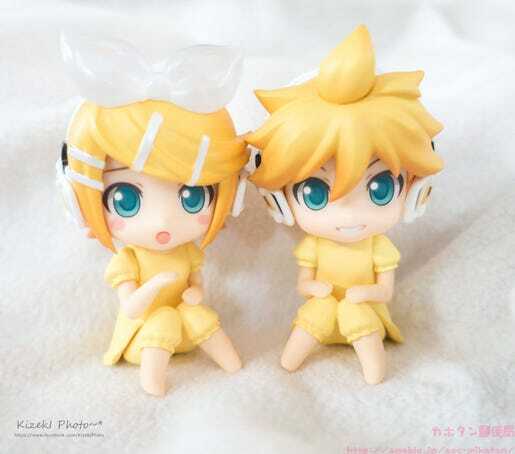 Rin: Let’s start our Date in a dream ! !